Sew this My Little Pony Friendship is Magic Rainbow Dash Glitter Patch onto your backpack, jacket, hat, or clothing of choice to give it a unique look! 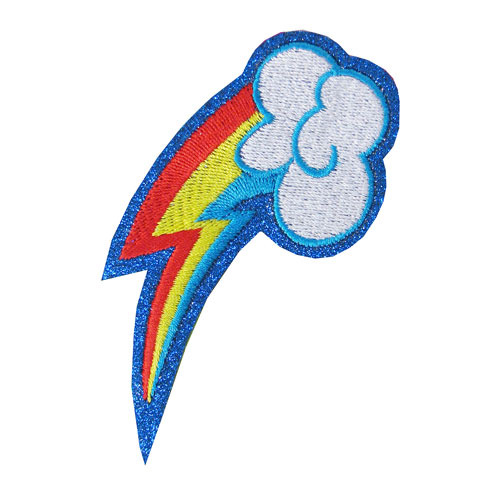 The My Little Pony Friendship is Magic Rainbow Dash Glitter Patch features the insignia of your favorite pony. Ages 12 and up.